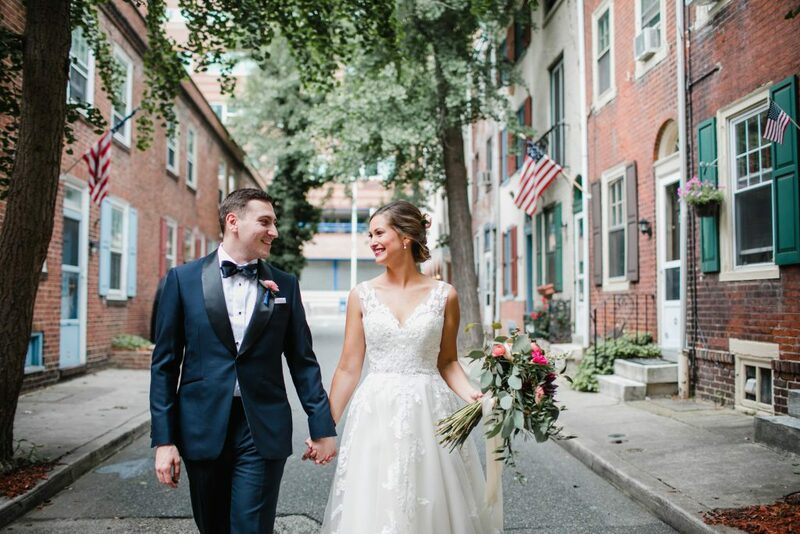 What's not to love about a classic Center City Philadelphia wedding? They're filled with romance, timeless details, and that air of elegance that can be hard to come by these days. Plus, all of the rich history and architecture in this city makes for some special places to host a wedding. If you're planning a classic affair, here's a look at 10 Center City venues worth considering, plus some real wedding inspo at each to get you started on your venue search. Vibe: Historic + Grand. Down Town Club is the kind of venue you dream about when you're little. It's a Cescaphe venue, so every detail has been thought through and it shows. What we love: The ballroom's windows let in lots of natural light and offer gorgeous views of the city. Vibe: Loaded with character + focused on the finer things in life: food + drink. If your priorities are centered around great food and cocktails, don't overlook The Olde Bar. There are several spaces to choose from or combine, so the guest count can be as small as 25 or as big as 325. What we love: This place has a story to tell. It was once home to the legendary Bookbinders and has managed to keep the history intact in the best ways. Vibe: Classic + Elegant. The Union League is something special: tall ceilings, oak walls, beautiful art, and stately ballrooms. There are plenty of places for amazing photos here, both within the four walls and outside, including that iconic Broad Street photo op just steps away. What we love: The architecture. Inside and out, the Union League is special. They don't build them like they used to. Vibe: Clean + Modern. PAFA is the perfect place for those with an appreciation for fine art. Catered exclusively by Starr Catering, there's no question the food will be great. What we love: The variety of spaces - from the clean modern space of the Annenberg Gallery to the beauty and grandeur of the Washington Foyer. Vibe: Chic + Art Deco. Sky high engraved ceilings create an impressive space while the architectural details bring a Great Gatsby vibe. Catered exclusively by Finley catering, the service and food are top-notch. What we love: The drama of the space, the architecture and the wraparound mezzanine. It's like this place was made to host incredible parties. Vibe: Dramatic + Special. Built to put on an unforgettable show, the Academy of Music does not disappoint when it comes to weddings. The ballroom is grand and luxurious and the theater is breathtaking. 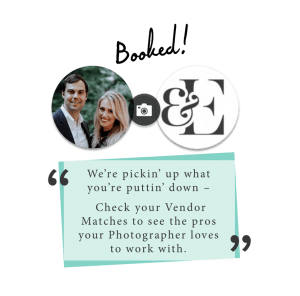 Garces is the exclusive caterer, so this place has all aspects covered for an amazing experience. What we love: It's all yours. The Academy of Music is stunning on any day, but it's even more special when you get to have it all to yourself. Vibe: Impressive + Classic. In addition to the great architecture, the Free Library of Philadelphia has an extensive collection of books including rare finds, perfect for bibliophiles. Brulee is the exclusive caterer, which will put a smile on the foodies' faces. What we love: The rooftop terrace is an amazing outdoor ceremony + reception space with unmatched views of the city skyline while you party. Vibe: Wordly + Grand. The setting and Grand Pavillion transport you to another place and time. This Cescaphe venue offers indoor + outdoor spaces, but in warmer months, the Pavillion is almost a no-brainer. 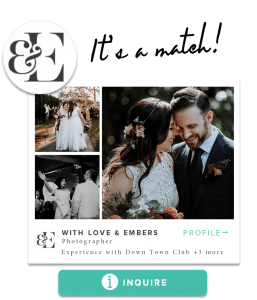 What we love: Not only is the venue gorgeous, but its surrounded by some of the best photo spots in Philly - The Art Museum steps & surroundings, Boathouse Row, + Center City skyline views. Vibe: Luxe + Timeless. The Rittenhouse Hotel offers beautifully appointed rooms, elegant ballrooms, and impeccable personalized service. What we love: Location. Location. Location. While all of the Center City venues listed have great locations, we have a soft spot for Rittenhouse Square and its charm. Vibe: Fancy + Fun. The decadence of a black-tie wedding with the excitement of being in Center City Philadelphia. The venue comes with rentals, stately décor and dramatic uplighting so you are left to glam it up with the fun details, like the flowers and balloons. What we love: The great service by the Finley Catering staff and the included perks like a Termini Bros. cake. 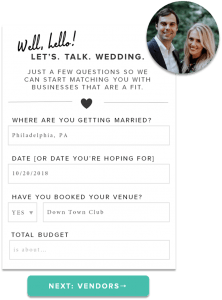 What Center City venues do you recommend or would you like to see more real wedding inspo from? Let us know in the comments and we'll put the request out to the community. Is one of these your wedding or were you in the bridal party? 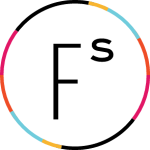 Join Flutter Social to be tagged to the celebration + share it with your friends.